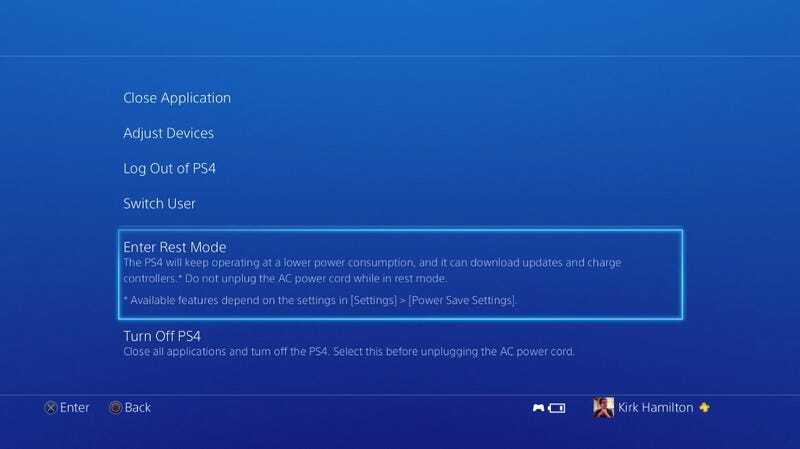 The PS4&#39;s Standby Mode is no more. The PS4's Standby Mode is no more. It's now called "Rest Mode." There's even a new little graphic that displays when the PS4 is going to sleep. So peaceful!